We’re shining the spotlight on some of the amazing people that help make our Seacrest Studios around the country so special. Who is your favorite artist and or song? My favorite artist is Spyro Gyra and my favorite song is "Morning Dance." What is your favorite thing to do in the studio? I like to switch videos on the Tricaster! Who was your favorite studio guest? I loved meeting Mike Love (from The Beach Boys) because I like his music and he had interesting interview answers. He told me all about "Kokomo"
Do you have a special hidden talent: Yes, I broadcast my own radio station with a modified residential FM broadcaster. I mostly play whatever CD's I have laying around in my room. 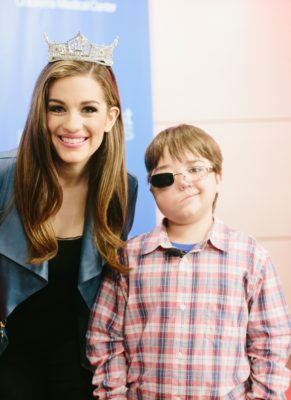 Thank you, Connor, for helping make Seacrest Studios in Dallas such an awesome place to be!